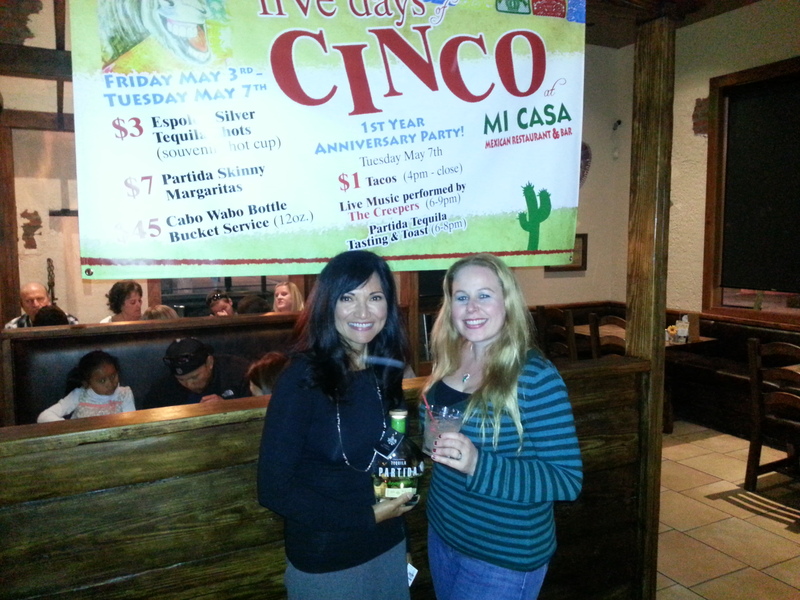 On Tuesday, May 7th I was happy to attend the one year anniversary party for Mi Casa Mexican Restaurant & Bar, located in the lovely city of Rancho Santa Margarita in South Orange County, California. In the past I had been several times to the Costa Mesa Mi Casa, but this was my first time venturing over to the new store. As you can see in my blog, I review quite a few restaurants, so when I have the opportunity to revisit a familiar place I love, I am pretty excited. 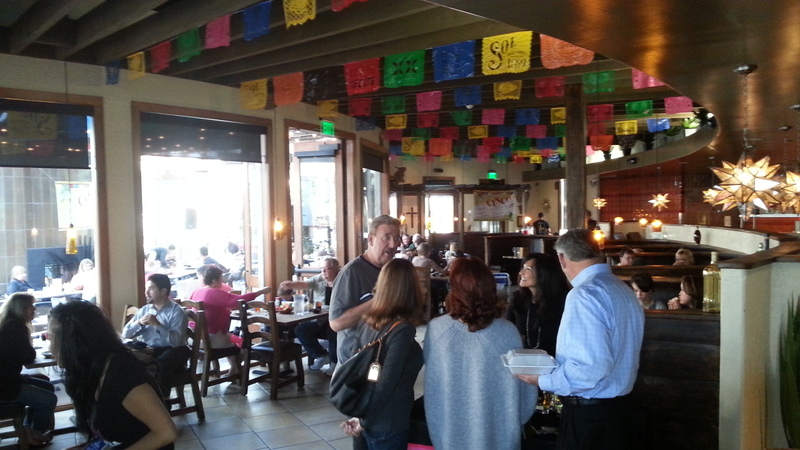 The Rancho Santa Margarita Mi Casa had a very different setup from the Costa Mesa store, but was still bustling with just as many people! 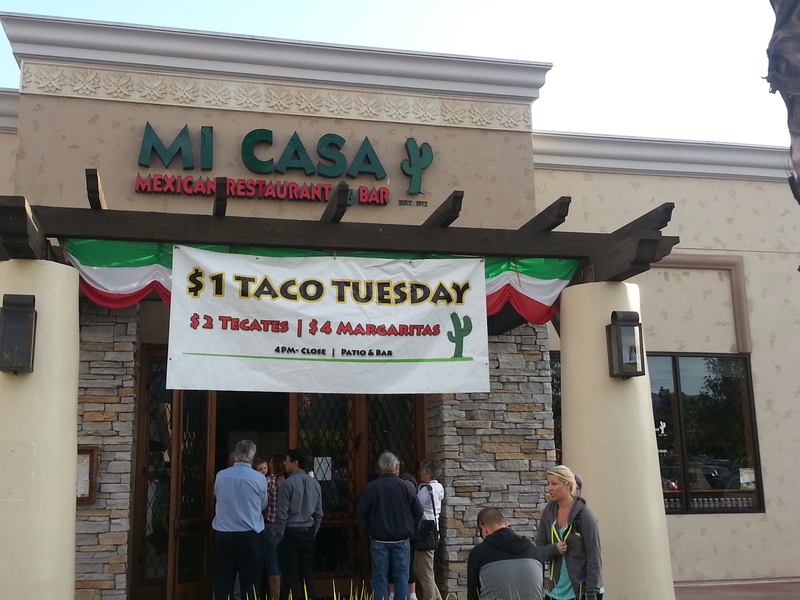 Mi Casa holds a special place in my heart in that I used to revisit it quite a bit in my early 20’s as I had an apartment in Newport Beach 5 minutes walking distance from the Costa Mesa location. The one year anniversary party happened to fall on the same week as Cinco de Mayo & it was on a Taco Tuesday, so there were many fun festivities going on. pictured behind my husband and I in the picture in this article. 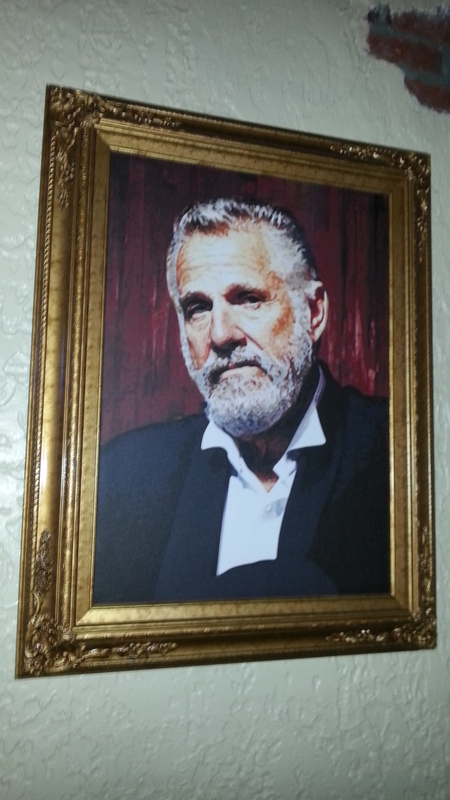 My husband’s favorite of course was the “Dos Equis Most Interesting Man in the World.” I must say he loves those commercials and this picture excited him greatly…what a silly husband I have! Shortly after 15 minutes at the bar of having tasty libations and joyful conversation, our friend arrived to meet us for dinner and we were escorted to our table. 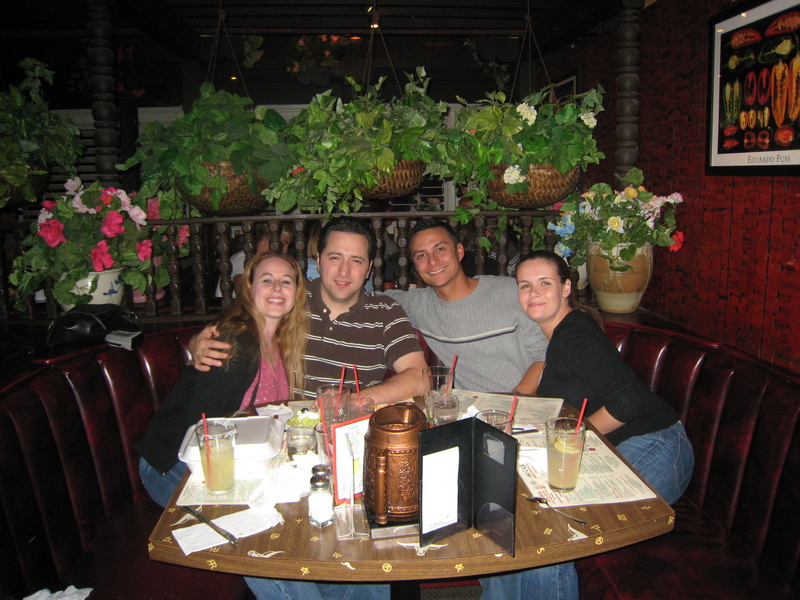 The Mi Casa in Rancho Santa Margarita had many different seating options. Not only were there barstools in the bar area, there were also tables. Throughout the restaurant there were booths and tables so you could pick whichever you fancy. 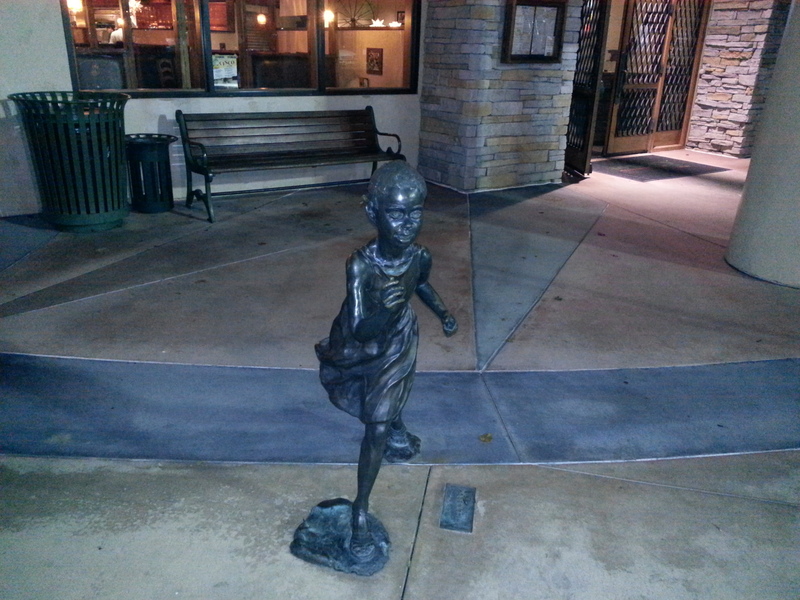 My favorite item in the setup of this restaurant had to be the outdoor patio though!! 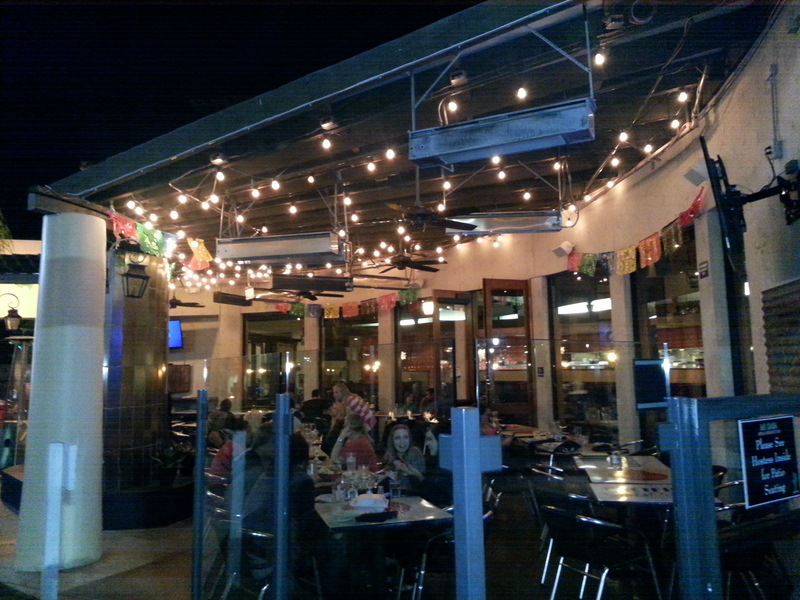 The outdoor patio had an awesome large size area to sit, complete with a fire pit for cold nights! For the anniversary party, the restaurant owners brought in the band, “The Creepers” which I have loved for many years! The Creepers play a variety of music spanning over 6 different decades, but they specialize in 80’s music. The Creepers band is comprised of Mat Hocking on lead vocals and guitar, Brian Kushner on drums & vocals, & Dave Alpizar on bass and vocals. Together these guys have rocking harmony and they are super fun to watch! 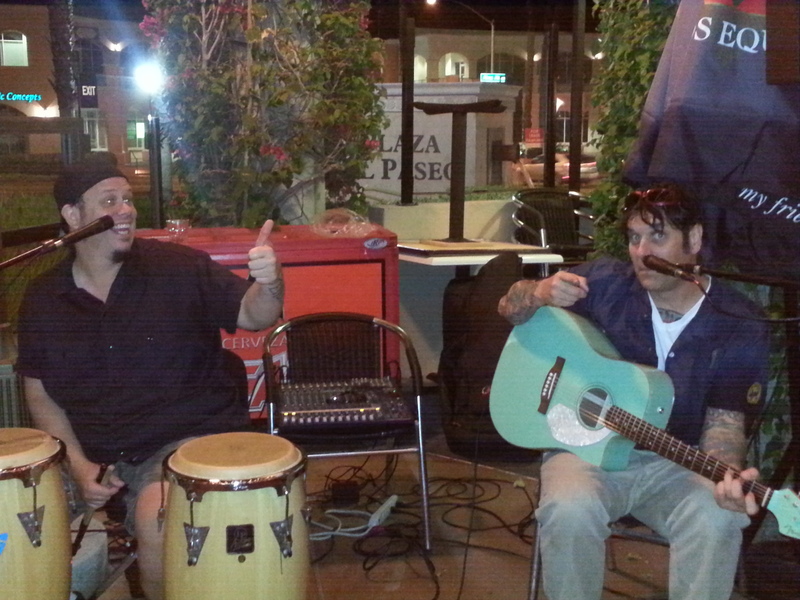 These guys call themselves, “three real musicians playing real music with an Orange County attitude.” They perform ion a variety of places, such as Orange County, Los Angeles, San Diego, San Francisco, New York, Miami & Chicago! I love them! For dinner, I ordered my classic favorite, the Mexican pizza which consisted of a delicious crispy fried four tortilla crust, seasoned chicken, refried beans, fresh tomatoes, lots of cheese, red sauce, sour cream and guacamole. This dish always makes my taste buds happy! 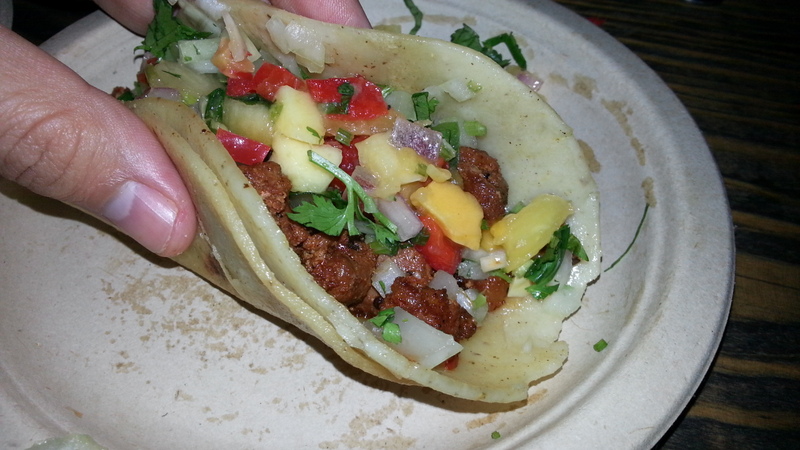 My husband had six different tacos that consisted of pork, beef and chicken. See pictures in this post. He was very happy to devour them quite quickly. 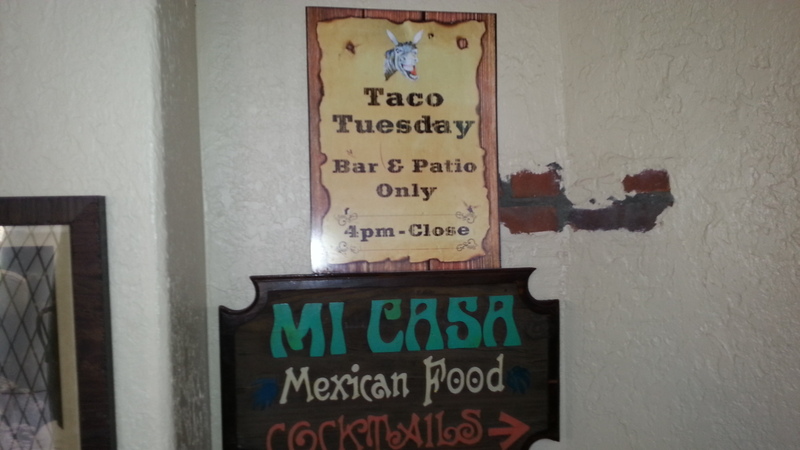 Mi Casa regularly has an awesome taco Tuesday party at both restaurants in the Rancho Santa Margarita and Costa Mesa locations. 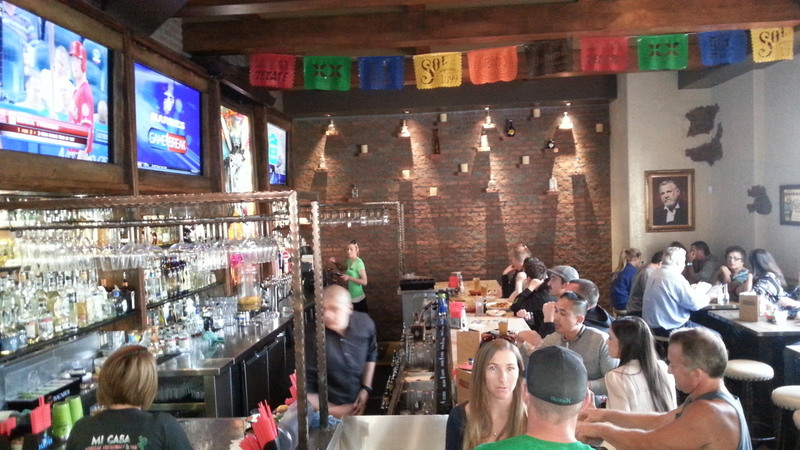 Definitely check out their $1 tacos on drinks specials on any given Tuesday at either restaurant. 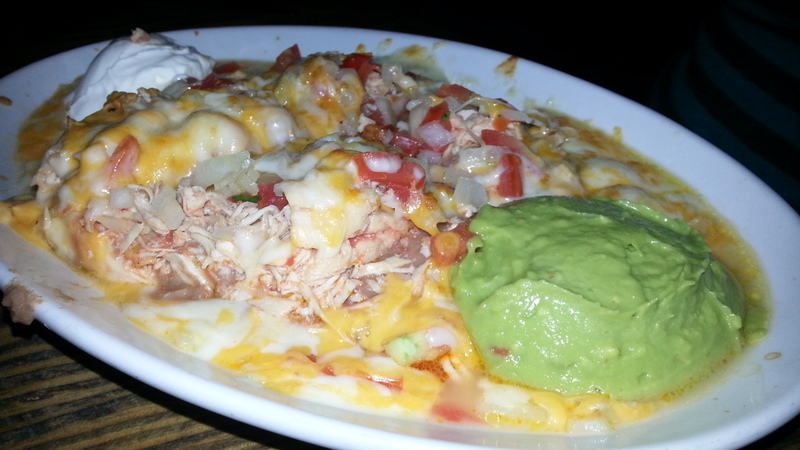 Nom nom nom… I had nacho’s the other night… At this funky restaurant… Looks like you had fun, like we did! Oh yes! Always Nick:-) Thanks for the comment! Hummmm, I will have to stop by next time I am in the neighborhood!! Looks like everyone is having a great time and enjoying the food!! Nothing beats a great Mexican restaurant! But they have to be good. Your pictures make me want to visit this place. Pity it is is 4 day drive ! 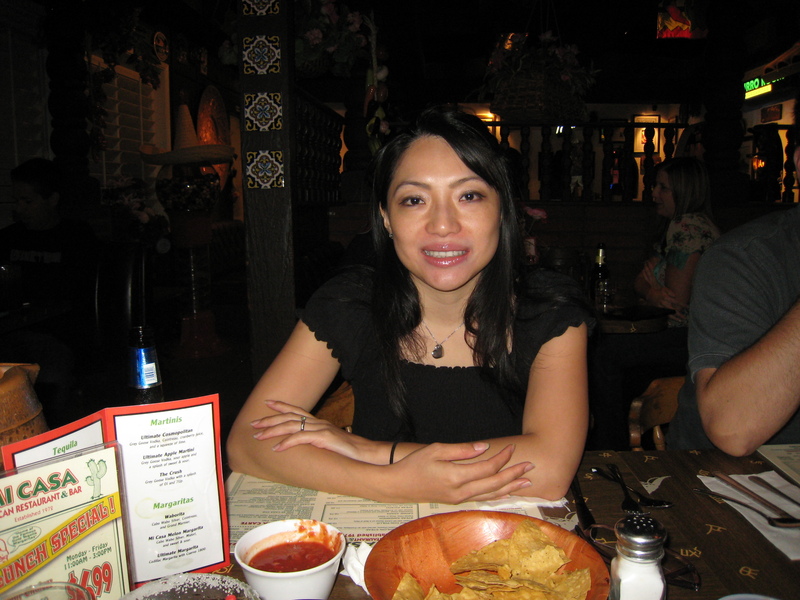 I love Mexican food, too, and find many restaurants here that are wonderful. Looks like this one would fit right in to the desert southwest! Congratulations on being in the restaurant business for a full year! I have lots of deals in your area in my weekly top deals of the week posts every Wednesday:) Stay tuned. Thanks for the comment! That foods looks delicious!! Glad you had fun. Must go and make some dinner now, you’ve made me hungry! Great! Thanks for the comment:) Mi Casa is a yummy place! 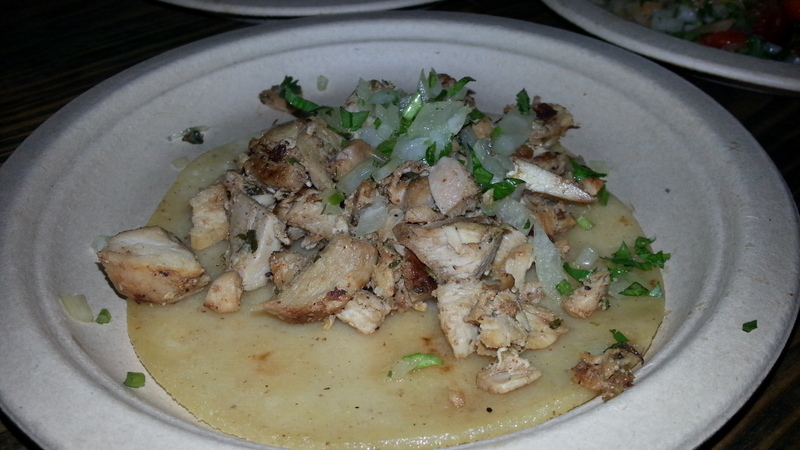 I love Mexican food!! So when are you coming to NY to review some places?? You send me the invite and accommodations and I am there..Set me up with someone in NY 🙂 I was born there…would love to come back for a visit!! Awesome! 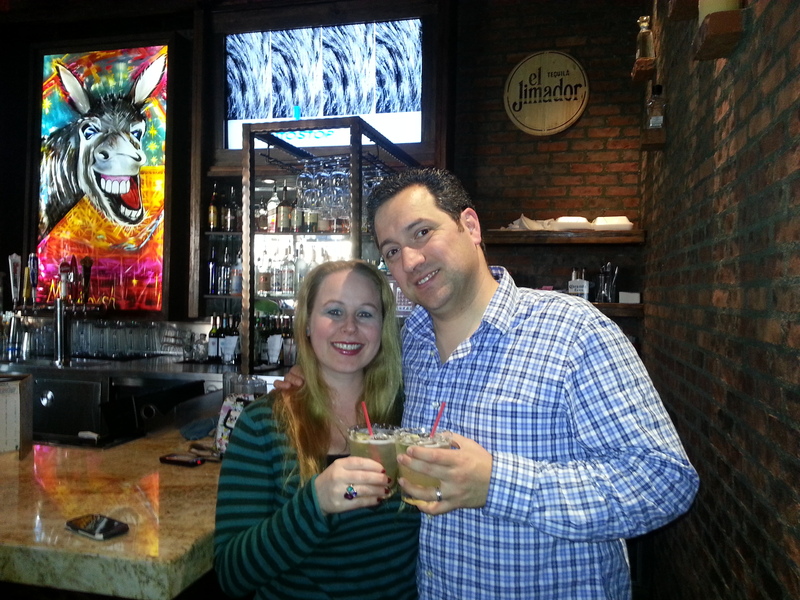 You must check out this place then:) They have awesome food and Margaritas!! I got hungry reading your post. I find the difference between California Mexican food and Arizona Mexican food interesting. 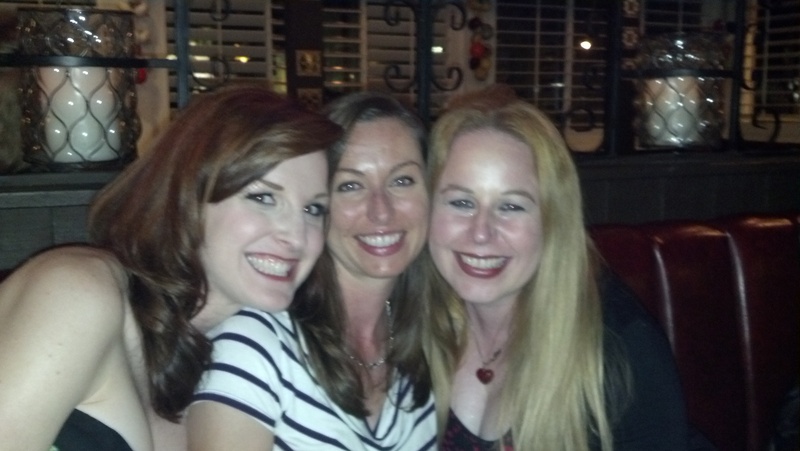 Looks like it was a fun evening. ah….another great review….the pictures have made me so hungry!!!! 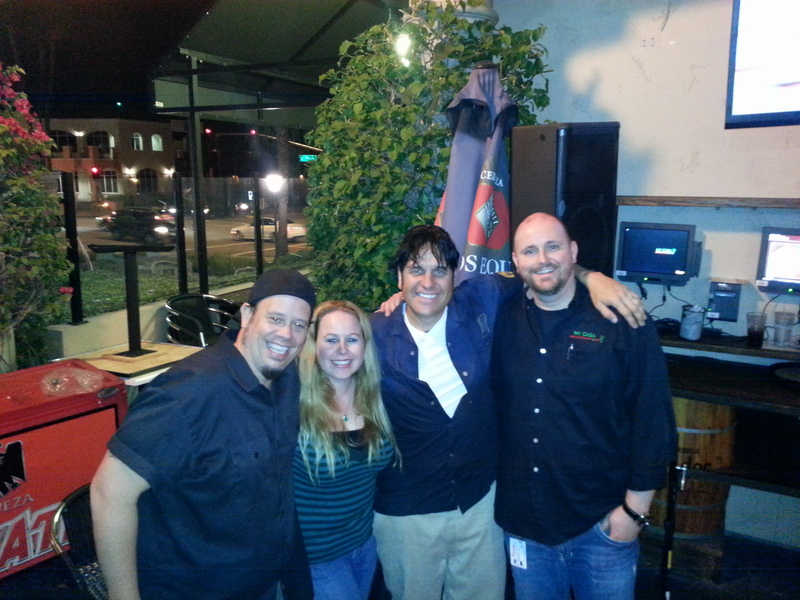 Thank you Nikki…Mi Casa is definitely yummy in the tummy! !